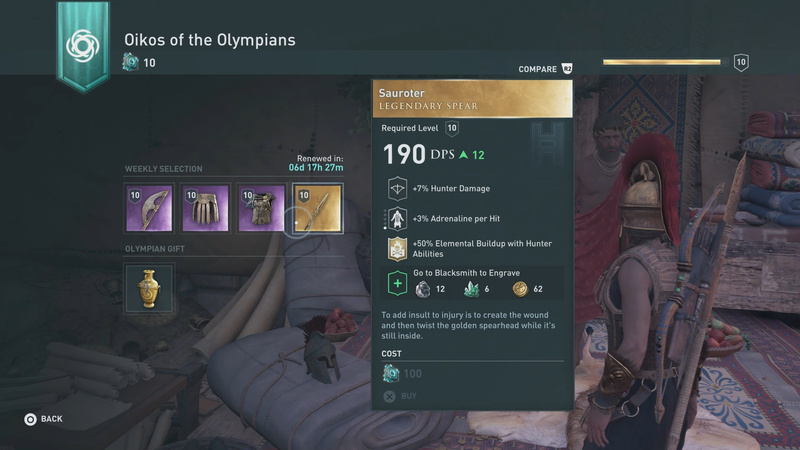 Assassin’s Creed Odyssey features a special vendor called Oikos of the Olympians who sells Epic to Legendary items for Orichalcum Ore. 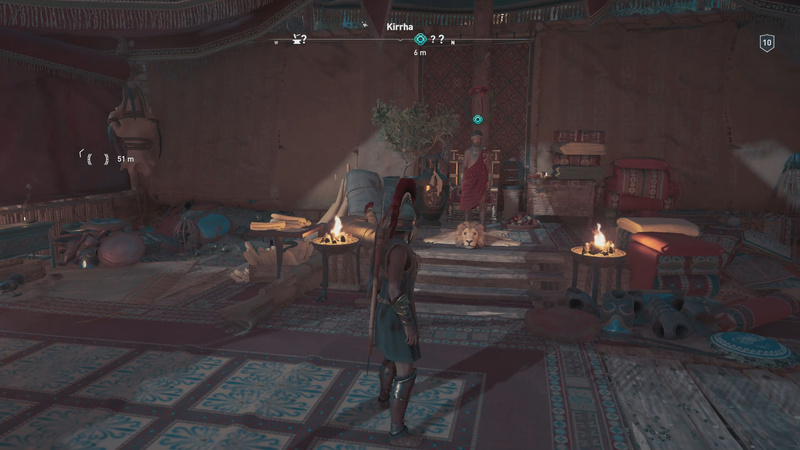 These items can be purchased using this special currency to access better gear for your assassin. To help you keep track of Oikos and his weekly updating offerings, consult the Oikos guide below. 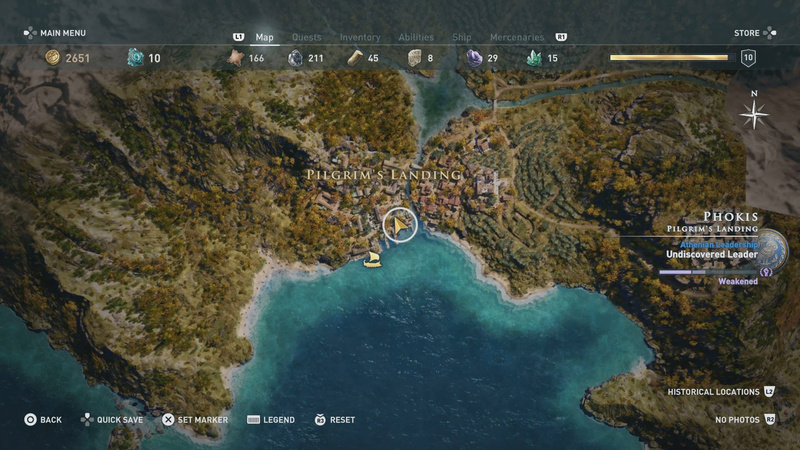 Oikos can be found at this location in Pilgrim’s Landing. Oikos is a rare item vendor. 20 Orichalcum Ore for Olympian Gift. 40 Orichalcum Ore for Epic Quality Items. 100 Orichalcum Ore for Legendary Quality Items. Like other special vendors, Oikos only offers 4 items and the Olympian Gift. This selection of goods changes weekly every Tuesday. Atlantean Mace: Epic Heavy Blunt. Purchasing any of these Epic to Legendary items can be a good way to improve your character’s ability to take on harder enemies. Check back on this page every week to see the updated selection of Oikos. Ancient King’s Body Armor: Epic Torso. Dusk Herald’s Garment: Rare Torso. Helmet of Orpheus: Epic Head. Bludgeon Mace: Epic Heavy Blunt. The Last Ferry: Legendary Ship Design. Dark Steel Chestplate: Epic Torso. Athena’s Owl Figurehead: Legendary Figurehead. Boots of Ares: Epic Legs. Crude Axe: Epic Heavy Bladed. Bone Mace: Epic Heavy Blunt Weapon. The special vendor Oikos of the Olympians sells Epic to Legendary items. Stone Axe: Epic Heavy Bladed Weapon. Anything to add to our Oikos guide? Let us know in The Pit below. “Oikos the Olympian”…wat? have you played the game? Didn’t you pay attention in Greek in high school? I’m pleased someone pointed out that their name is Sargon. Also Olympian Gifts can contain Rare items, and Lengendary items vary in cost between 20 to 100.